(Phys.org) —TED Talks, the most popular conference and events website in the world with over 1 billion informational videos viewed, provides academics with increased popular exposure but does nothing to boost citations of their work by peers, new research led by Indiana University has found. In the comprehensive study of over 1,200 TED Talks videos and their presenters, lead author Cassidy R. Sugimoto, an assistant professor in IU Bloomington's Department of Information and Library Science, and a team of researchers from Great Britain and Canada, also looked at the demographic make-up of TED Talks presenters—only 21 percent were academics, and of those only about one-quarter were women—and the relationship between a presenter's credentials and a video's popularity. Data gathered from the TED website and from YouTube also found that male-authored videos on YouTube were more popular and more liked than those authored by women—possibly because research has shown that females are less likely to comment on YouTube than males—and that videos by academics were commented upon more often than those presented by non-academics. While YouTube videos by male presenters were more viewed than those by women, this was not true of the TED website. "Overall, academic presenters were in the minority, yet their videos were preferred," Sugimoto said. "This runs counter to past research that has argued that the public, because of a lack of literacy on the subject, has a negative perception of science and technology that has been fostered by the media." The new work instead finds positive associations with science and technology information and possibly, Sugimoto noted, some discerning characteristics in the public between presentations by academics and non-academics. "While TED does not increase the impact of work by scientists within the academic community as seen through more citations, it does popularize research outside of academia," she said. "Academics are receiving greater online visibility, but there is no evidence that TED Talks leads to an increase in the traditional metric of academic capital: citations." Sugimoto said the Matthew Effect is likely in play—that the rich get richer while the poor get poorer—as it's possible TED academic presenters are chosen at least partly because they are already recognized scholars. In general, most TED video presenters were male (73 percent) and non-academic (79 percent). Within the 21 percent that were academics, the researchers found that 73 percent of those held the rank of at least professor; 75 percent were based in the U.S.; 71 percent had their own Wikipedia page; and 77 percent were cited more frequently than the average. While viewers commented more on videos by academics than non-academics, viewers did not popularize one academic over another based upon age or university affiliation. "Either university affiliation doesn't register with or is irrelevant to the online audience, or if it is relevant, it may be offset by those academics from less prestigious universities working harder to be invited to present at TED or have their video published," Sugimoto said. And as far as boosting citations via TED presentations, the researchers looked at citations for an academic for three years before and after TED presentation and found no hike in citations after appearing on the TED website. "The suggestion is that TED doesn't promote a scientist's work within their own community or that any positive impact is offset by peers questioning the presenter's motivations," Sugimoto said. The team used both bibliometric (most commonly, academic journal citation analysis) and webometric techniques, which include biodirectional hyperlink analysis of Web-based products. Co-authors with Sugimoto on "Scientists Popularizing Science: Characteristics and Impact of TED Talk Presenters," were IU doctoral student Andrew Tsou; Mike Thelwall of University of Wolverhampton, United Kingdom; Vincent Lariviere and Benoit Macaluso of Universite de Montreal and the Universite du Quebec a Montreal; and Philippe Mongeon, Universite de Montreal. The new research appeared in PLoS ONE. The work was funded by the Digging Into Data initiative, a multinational funding program to promote "big data" research. Teams must be composed of scholars from at least two countries and receive funding from one of a number of potential national scholars. The U.S. portion of this grant was funded by the National Science Foundation. For more about the initiative, see this previous press release on IU's Digging Into Data scholars. As a researcher studying doctoral education and scholarly communication in the IU Bloomington School of Informatics and Computing, Sugimoto is interested in the public's perception of science, how the public consumes scientific information and the resulting relationship with the public's perception and knowledge of science. She received a Ph.D. in information and library science from University of North Carolina at Chapel Hill in 2010 and came to IU the same year. I would argue that if the person is working on something which you might cite in your work then you know them already. The number of people working on the very same subject in the world is usually in the dozens (or less than that the more specialized you get). TED is unlikely to introduce a scientist who has done his homework to an unknown in the field. Even the most science averse public knows that scientists are more likely to tell you something substantive than, say, a media person. TED/TEDxyz has already overgrown its optimal scope and it just did become the platform for twaddlers. ValeriaT is just waiting for the day when Martini and Rossi explain how their E-cat Fraud works. 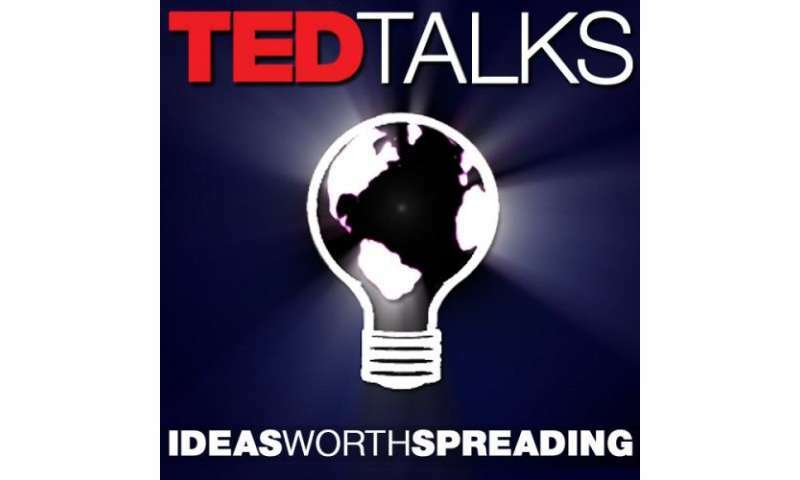 Originally, I was under the impression that TED was about distributing excellent ideas that would be good for all mankind, in a venue that actually made it possible to earn exposure based on the merit of the idea or thought itself, rather than economic clout. If academics want to boost their citations by peers, shouldn't they instead focus on publishing in peer reviewed papers in their own field??? --- In other words, TED neither was, is, nor will be a free venue for second rate papers. "Martini", LOL... Well, if Rossi will succeed, he definitely will not waste his time with some TED lectures. He will not need it. In other words, TED neither was, is, nor will be a free venue for second rate papers. And it was never supposed to be. Where do you get that idea that anyone wants to boost their citations? And the papers that are truly seminal papers take a few years before they are cited all over the place. Do you think scientists brag to one another about how often they get cited? The more I think about the article the more it bothers me. Whoever said that TED was for anyone's curriculum vitae? "Oh, and hey, I gave a TED talk once." TED has no place in peer review, as far as I know. This article is bogus and I think its publishing should have been avoided. Of course they do - it's about their salary. Erm - you are aware that scientist are mostly at state institutions the world over? And that their salary is therefore fixed no matter how much they publish? If you think a scientist is in it for the money then you're dumber than rocks. Any scientist can make triple his salary in the industry doing a low-demand job - easily (and I'm currently living proof of that - and I didn't even haggle for my salary or demanded an increase over the salary of others due to my degree). Because most science isn't revolutionary. Science is baby steps. You have a very warped/childish/Hollywood view of what science is. Maybe you should go and try and meet some actual scientists. Exactly. It doesn't go on your CV or publication list. It's for fun. Exactly. So we agree on this. The authors of this article seemed to expect that. I think the title is right: "Academics earn street cred with TED Talks but no points from peers, research shows" and this is as it should be. However, even gaining street cred should not be the motivation for speakers, but the dissemination of top quality ideas for the common good. As far as I understand it, this is why TED was created in the first place. And I'm certain no one goes there for the street cred, either. That means even less to a scientists. How much is the approval of someon who knows nothing about the subject worth? Nothing. It's like fan-approval ins sports. Worthless to the athletes.